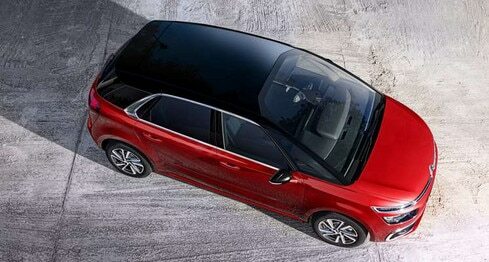 One big reason why the inside feels so inviting and enjoyable is the extra-large panoramic glass roof which is one of the best expressions of CITROËN ADVANCED COMFORT®. It lets natural light flood in and enhances the airy sense of space. Standard on Flair. 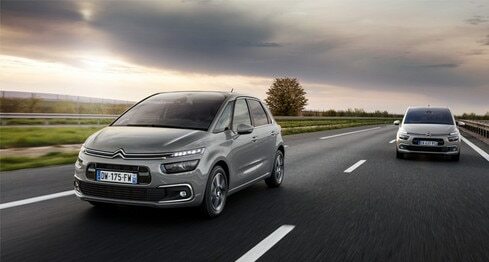 Citroën C4 SpaceTourer has been designed to be very quiet so you can relax and enjoy your ride. Its variable assistance electric power steering notably reduces noise and vibration from the road for exceptional comfort. 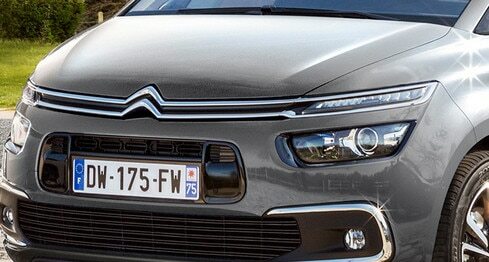 The compact exterior dimensions of Citroën C4 SpaceTourer (4.44 m long / 1.83 m wide / 1.61 m high) do not compromise spaciousness inside the car. The elongated wheelbase offers record-breaking room for every passenger, in particular in terms of knee space. With its vertical shock absorbers, Citroën C4 SpaceTourer's advanced suspension system offers balance between driving pleasure and pure refinement. Elegantly functional and beautifully trimmed in Milazzo Grey cloth, this interior provides the ideal environment for everyone to relax and enjoy the journey. 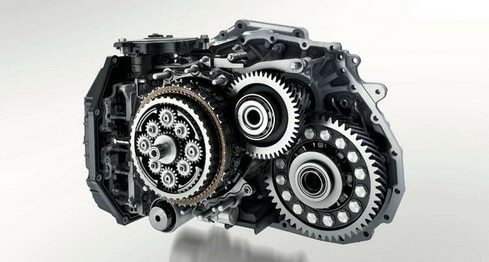 Every detail integrates and matches seamlessly. Flexible, modular and ideal if you enjoy an outdoor or sporty lifestyle, this option combines Levanzo Blue cloth, chrome details and a Pearl Grey dashboard. You’ll find additional blue touches on the door handles. Bright and relaxing with a strong emphasis on pure comfort, the Yatago Grey interior is perfect when you need a place to really unwind on the move. Every detail contributes, such as the RELAX function, which incorporates an electric massage feature and adjustable lumbar support.